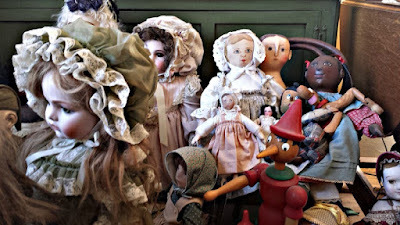 I often tease my mother that she never grew up—she still plays with dolls. 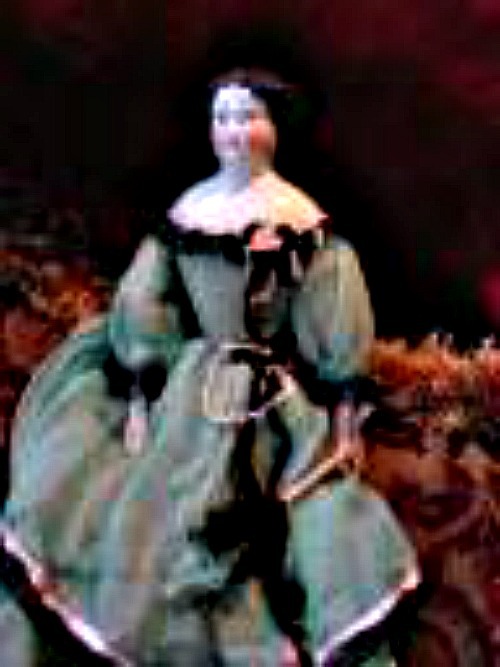 My mother is a doll restoration artist. Years ago she apprenticed to a woman who later retired and sold the business and tools to her. 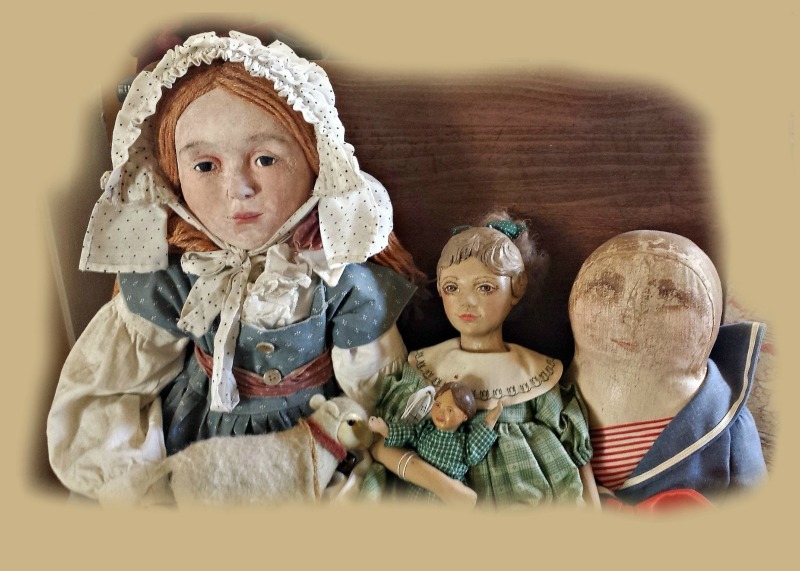 People brought in their broken dolls, modern, antique, or reproduction and she knew just what to do to fix them–whether it involved restringing, a new wig, gluing in eyes, or adding a new limb. In an early book of mine, The Angel and the Outlaw, two dolls play a part in getting the hero and heroine together. 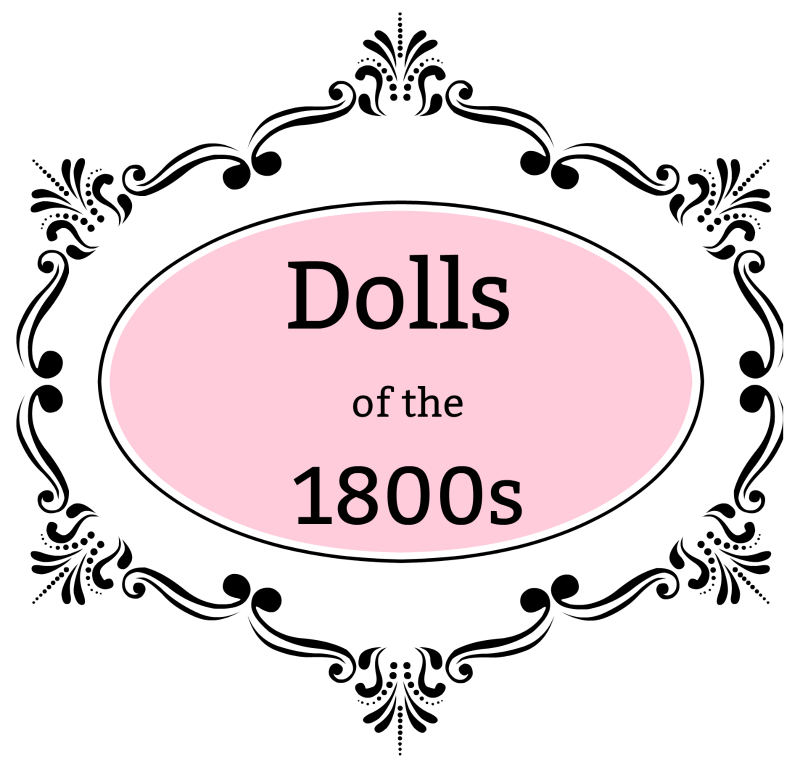 A china doll from 1860 and a paper mache doll from 1850. 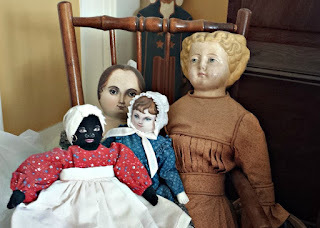 I was fortunate that my mother happened to have two dolls that fit my story to a “T”, even to the point of a lovely green dress on the French doll which matched a description in my story! Manufactured dolls of this era were generally paper mache or china or bisque. They had an adult face rather than a baby face. (Manufactured dolls with a baby face weren’t available until 1910.) 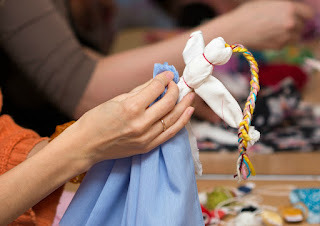 The soft cloth bodies were filled with sawdust, horsehair or cotton. Hairstyles reflected the current styles of the day. Both of these dolls have “flat-top” hairdos that were popular during the Civil War. The heads were often sold by themselves, and a mother would then make the body of the doll and sew the clothes. 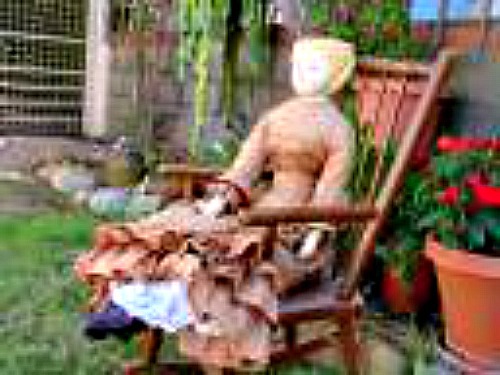 The French china doll was popular from 1860 to 1900. It cost approximately one dollar at that time. The head and shoulder plate, along with the hands and feet are china (with painted-on shoes) and the body is made of cloth. This doll has a painted garter on the left leg. The German-made paper-mache doll is older with cracks along the bust line. She has soft leather arms and hands (with separate fingers!) and leather shoes that can be taken off. 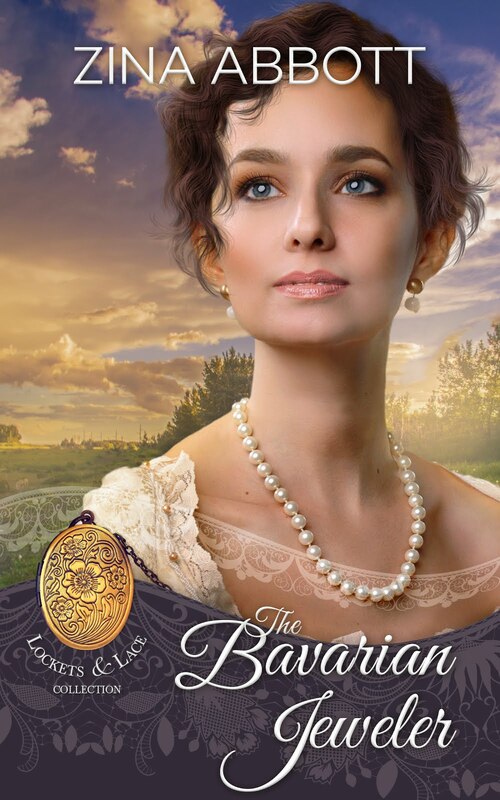 As sedate as she looks here, she has a lovely corset and petticoat *g*. For families out on the prairie's that could not afford manufactured dolls or doll heads, a young girl's doll was made from whatever could be spared. 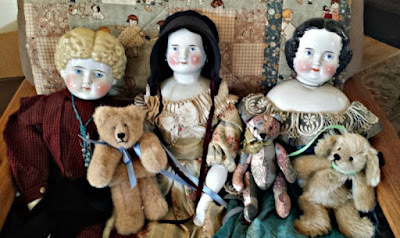 I've seen dolls of that era made from corn husks, rags, and flour sacks, with faces that were embroidered with thread or yarn or drawn with pencil or ink. 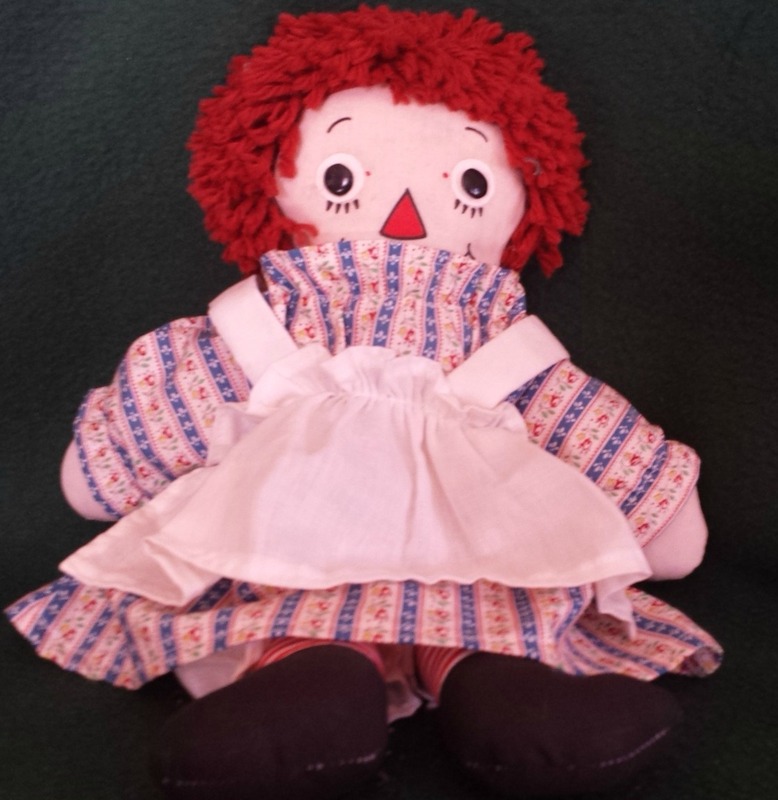 The Raggedy Ann doll above started out in just this way. Growing up, the doll I remember playing with the most was a Barbie doll (along with her boyfriend Ken and her younger sister Skipper). Usually, there was a ranch involved because I loved horses and had several Breyer horse figurines. 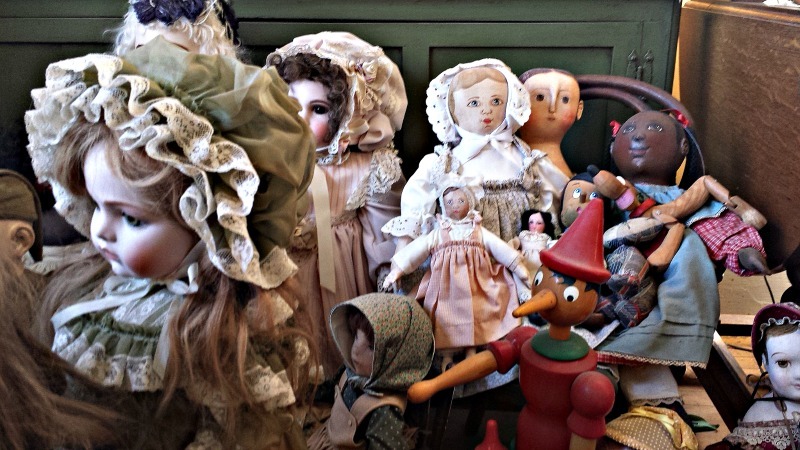 I’d love to hear about your favorite doll—now or when you were younger.